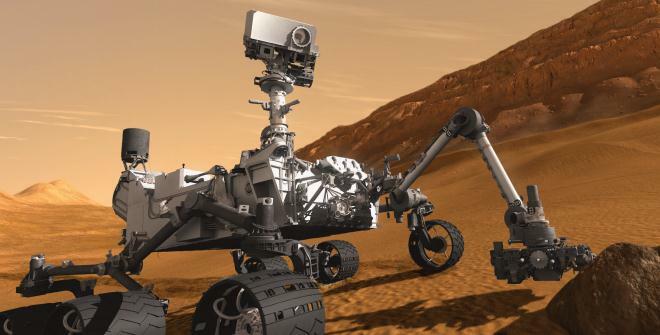 NASA is about to make history as its Curiosity Rover (run by the Mars Science Laboratory) attempts to land on Mars, taking the November 2011-launched mission to its next, crucial stage. Now you can watch things as they unfold after the organisation opened its live feed of the event. The craft is expected to land on the red planet Monday morning 1:31 am ET, tune in on the live stream below to see if the team can rise to the pressure and pull off the difficult challenge. If you want more info, National Geographic explains the “seven minutes of terror” that is the tricky landing sequence that the craft must go through in order to arrive on the planet. Update: You can also keep up with the tweeting craft via its @MarsCuriosity Twitter account. See also: These are the first images that NASA’s Curiosity sent back from Mars.